Russia's Agriculture Minister Alexey Gordeev has attacked the World Trade Organisation, calling it hypocritical. He says its agricultural interests are too commercial. Agricultural support has long been a stumbling block for Russia's accession to the WTO. “Russia’s agricultural sector can potentially feed about 450 million people. That’s three times more than what we could use domestically. But nations suffering from food shortages simply don’t have the financial means to buy food abroad. Before boosting its agricultural output, Russia needs to understand who will be its potential consumer,” Agriculture Minister Aleksey Gordeev says. Being ready is one thing, but finding the cash – especially against the background of an ongoing financial crisis – is not easy. “We should think about long-term credits for production and processing as well, for not less than 10 years and interest rates should be completely covered by the state,” David Yakobashvili, Chairman of Wimm-Bill-Dann Foods, says. “If there's a shortage of money, if money is too expensive and if it’s not regulated in a proper way this is a problem. It will increase prices at the end,” David Yakobashvili, Chairman of Wimm-Bill-Dann Foods, says. 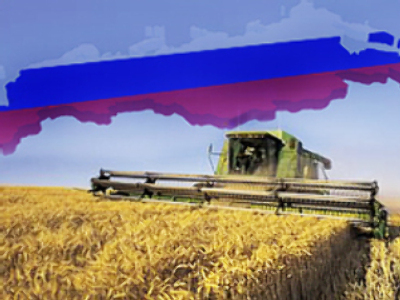 Despite tight financing in the sector, Russia is moving forward on the agricultural front. In this year’s harvest, the aggregate grain area is nearly 46 million hectares – almost 3 million hectares more than in 2007.